We accept self funding patients, or you can pay via your private medical insurance. 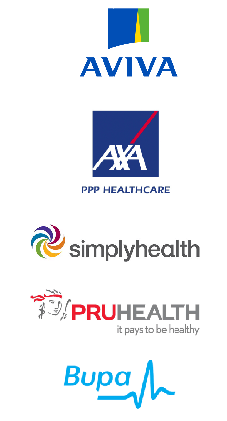 All medical insurance is accepted e.g: BUPA, SIMPLY HEALTH, AXA PPP, AVIVA, PRUHEALTH etc, and prices with medical insurance range from £30 – £40 per session. Please check your insurance policy prior to booking as you may need to see your GP first, and your policy may also bear an excess. Our registered Bupa physiotherapist is Simon Glover, whose name you will need to give to your insurer. We are registered with Simply Health (formerly Leeds Hospital Fund) so you can send receipts for your treatments and claim costs back.